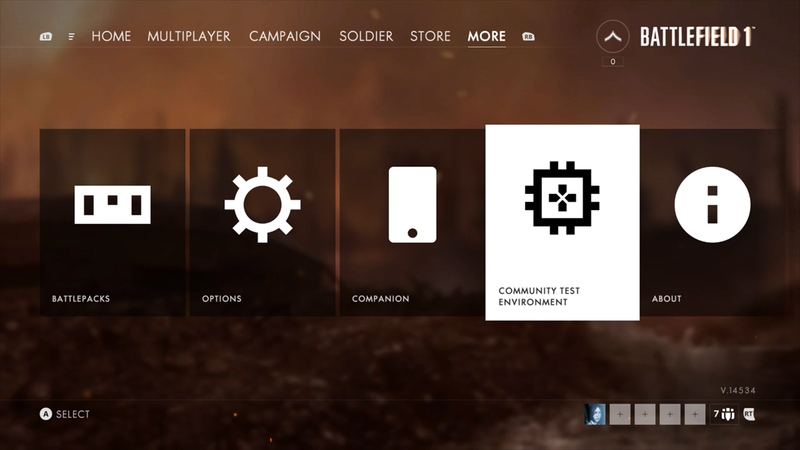 Since early 2017, DICE has allowed players to test out in-progress updates to Battlefield 1 on a special server called the Community Test Environment. This allows the developer to stress-test some of its upcoming changes before releasing them to the wider public. Recently, however, DICE announced that it'll no longer use the CTEs on PS4 and Xbox One. The studio announced on Reddit that it will stop releasing updates to the CTE on PS4 and Xbox One in order to focus on PC development. PC players can already update their CTE to the latest version in order to try out March's slate of improvements. DICE also stated in the post that all upcoming updates deployed to the PC CTE are for "developmental feedback purposes" and won't necessarily be released. In addition, since the console CTEs are being shut down, PS4 and Xbox One players can now delete the CTE download from their systems. In addition to this news, DICE provided a bit of a tease, stating, "We do have some exciting news coming soon for both PC and console players." There's no word on what this news is yet, or if it's even Battlefield 1-related. It could be referencing a new Battlefield title--recently, rumors have sprung up that Battlefield V will take place during World War II.